Spring leaves are like starts of cinnamon. 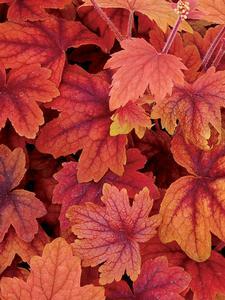 These big, hand shaped leaves darken in the summer and lighten up again in the autumn. Sweet Tea has a big bold habit. An instant classic for containers and gardens.